The Arts Foundation was created to support the programs and services of the Arts Council. The mission of the Council is to provide advocacy and leadership that inspires participation in and a passion for the arts in our community. The Arts Foundation has three primary funds to which a donor may contribute: unrestricted endowment fund, fields of interest funds, and designated funds. Unrestricted gifts will be held in perpetuity and will produce annual income for use by the Council as requested in an annual budget presentation to the Foundation for operating purposes. Field of Interest Funds will address specific areas within the purview of Council and to promote the growth of the arts. A field of interest fund might address a donor's interest in theatre that allows the gift to be used to support theatre, without a specific organization or program identified. The flexibility these funds provide are critical to the long-term nature of the Foundation and to furthering the vision of stability for arts programs in Martin County. Designated funds will be fully donor designated to provide assistance to a non-profit organization, project or facility within the goals of the Council's mission. Designated funds balance the donor's intent with professional management of a long-term investment. For example, a designated fund may further a donor's desire to provide music lesson scholarships for students who wish to pursue a musical talent but lack financial resources. Women Supporting the Arts (WSA), a woman's donor circle, is the Foundation's most active program. Another fund, the OPUS Parents' Booster Club, was created for long-time director, Ronald L. Corbin in 2005, in honor of his 20th anniversary with OPUS. The Arts Foundation is a subsidiary corporation to the Council.  Its Board of Directors are appointed by the Council Board to serve the primary mission of advancing the financial stability for the Council and the arts, as a growing industry, in Martin County.